Google Drive Not Syncing? How to Fix it? How to Safely Backup Android Photos? Nowadays, it seems to be a great pleasure for you to record their life with mobile phones. As photography on mobile phones comprehensively popularizes and applies in everyday life, it also provides convenience if you long for shooting with mobile phones. Meanwhile, for you, a photography enthusiast on mobile phones, the memory of mobile phones has become an urgent problem, because the storage of photos occupies a large proportion of the phone's memory. However, cloud storage solves this problem very well. When you are out of memory, you can directly move the photos from your phone to the cloud storage. The key point is that you don't need to delete phones on the phone. For photo storage and processing technology, Apple and Google are the two giants. Since it was announced in 2015, Google Photos under Google company has been in a significant role as a photo service provider, including photo sharing and storage service. Then, if unfortunately mistakenly deleting photos from Google Photos, how to get deleted photos from google photos? The following part will list several methods to cope with. Now, if you cannot retrieve and recover your deleted photos via the Trash for longer than 60 days, or for no backing up and syncing the deleted photos to Google Photos, you can try to utilize a third-party software to realize recovery of your deleted photos. FoneDog Toolkit could be the best alternative for you. This method is majorly about how to recover deleted photos on Android mobile phone. Step 1. Download the FoneDog Toolkit—FoneDog Android Data Recovery. Step 2. 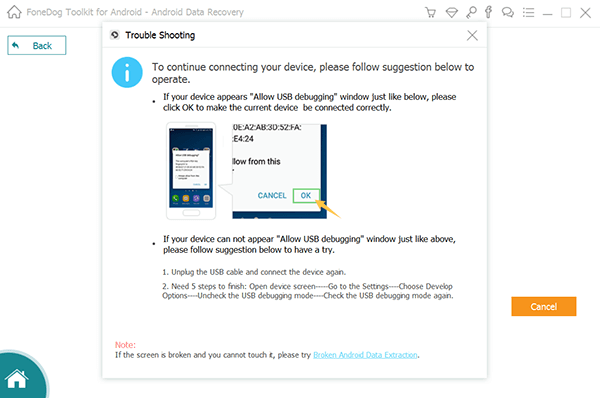 Connect your Android mobile phone to the PC and enable USB debugging on Android. It is a mode for USB debugging to allow your Android mobile phone to connect to the PC via USB cable. Step 3. Choose the file type you want to recover, Media>Gallery or Picture Library, and then click the "Next" button to start scanning. Step 4. Select the deleted photos to retrieve and click Restore to save them on your PC. Step 1. Start the Google Photo app on your mobile phone. Step 2. Click the Menu button in three bars. Then you can see the Trash. Choose it and it will show you your deleted photos. Step 3. Tick photos you want to recover. Step 4. Finally, tap on Recover and the photos are saved again. Note: TWO main reasons why you cannot recover your deleted photos via Trash. #1. Photos are permanently deleted or photos staying on the Trash are longer than 60 days. Therefore, you may not recover your deleted photos directly from the Trash. Please keeping reading and see Method 2 for a further help. #2. Here exists the situation that you fail to find your deleted photos on the Trash even though the deleted photos are no longer than 60 days. That’s because the photos are not backed up and up to date to Google Photos so they cannot be found in Trash after being deleted. An icon a cloud with a slash in the corner of the photos will tell you whether the photos are synced to Google Photos or not. If you happen to this case, please go forward to Method 3. Step 1. Surf on the Google Drive Help page and select Missing or deleted files. Step 2. Then tell the support specialist or fill in a form about how to recover deleted photos on Google Photos. Google Photos excels in photo sharing and storage service. To obtain a better experience on Google Photos, you are suppose to know about how to recover deleted photos from Google Photos, consisting of directly recovering deleted photos o from the Trash, recovering permanent deleted photos via Google support, and recovering permanent deleted photos on your Android mobile phones with the help of an absolutely best software, FoneDog Toolkit—FoneDog Android Data Recovery. 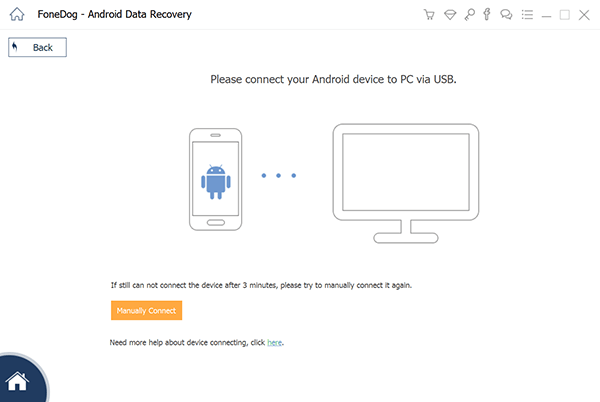 It can safely recover deleted data from Android phone and tablet. > Recovery > How to Recover Deleted Photos from Google Photos? Hola, por favor Ayúdenme... El 28 de febrero eliminé permanente mis fotos de google fotos, y hace unas semanas me robaron mi celular. Cómo puedo recuperarlas, y me acabo de dar cuenta que se eliminaron algunas imágenes demasiado importantes. Cómo puedo recuperarlas. Por favor Ayúdenmeeeeeee... Estoy demasiado desesperadaaaaa. Hola, hace dos días elimine muchas fotos de la papelera, es decir, definitivamente que hoy en día me son de urgencia recuperar, por favor podría hacerlo? How to Recover WhatsApp Messages after Uninstall?